In many ways, Lady Elinor Stepney of Llanelly, Glamorganshire, (born 1702) had everything going for her. She was the only daughter, and therefore sole heiress, to the fortune and lands of her father John Lloyd of Llangennech, including the picturesque house of Buwchllaethwen near Llanelly. She married John Stepney, heir of the wealthy patriarch Sir Thomas Stepney of Llanelly, and together they had five children; Margaretta (b. 1718), Justina (b. 1719), Maria (b. 1721), Thomas (b. 1724) and John (b. 1726). By the late 1720s, perhaps unsurprisingly, given that she bore so many children in such a relatively short space time, Elinor was somewhat delicate and prone to bouts of illness. But these were no attacks of fashionable nervousness or fainting; she was chronically ill. Information about her ailments is sketchy, but a series of letters from Elinor, her husband John, and some prominent medical practitioners, can help us to recreate what was an increasingly desperate situation. It is difficult to say, from nearly 300 years’ distance what was wrong with Elinor, although a common theme seems to have been chronic stomach pains and fits. In January 1729, for example, she was suffering from “Colical pains”, and had regular fits which left her debilitated and weak. According to her husband, after having “escap’d her fits from Tuesday to Sunday” but then was stricken with terrible pains that “seized her in her stomack, side, back, gut…with a palpitation of the heart & thence it dispers’d itself in to her stomack as before, then to the back and both the sides, the violence of which would throw her into small fits, & her stomach very much swelled”. Even down the centuries, this account of the “violence” of her pain is striking. It is clear from other clues that Elinor’s sickness had an impact on the family’s life. It was said that the Stepneys rarely left Llannelly House, preferring the peace and solitude of a country life. But, clearly worried about his wife’s deteriorating condition, John Stepney was determined to seek out the best medical advice that money could buy, and this often took he and his wife outside their native countryside and to one of the most busy and cosmopolitan cities in Georgian Britain. One of his Stepney’s correspondents was Dr John Powell of Carmarthen, in many ways an unusual Welsh practitioner. Powell was distinguished from his many unlicensed and unorthodox colleagues by having gone to Lincoln College in Oxford, achieving a BA, MA and MD. 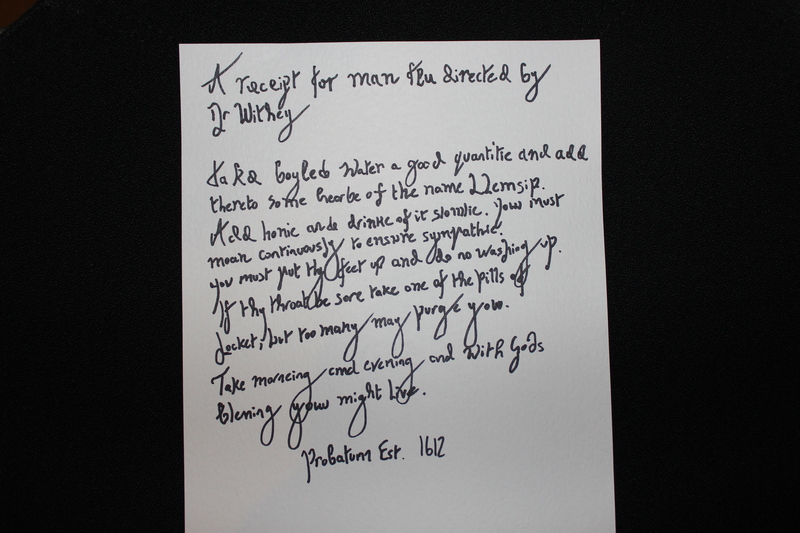 He was licensed by the Bishop of Llandaff to practise medicine in the diocese of Llandaff, Hereford and St Davids and letters testimonial to his skills were signed by several medical luminaries, including the president of the Royal College of Physicians in London, Thomas Witherley. Unusually, given that many Welsh doctors who left the Principality to train subsequently set up practice outside Wales, Powell returned to Carmarthen and counted a number of wealthy Welsh gentry amongst his clients. But Powell also seems to have taken advantage of the popularity of the newly fashionable city of Bath, and especially its growing reputation as a place of healing, as it appears that he sometimes held a practice there. Even more interestingly, his consultations were not always held alone; letters suggest that he occasionally held court with another rising medical star – Richard Mead. 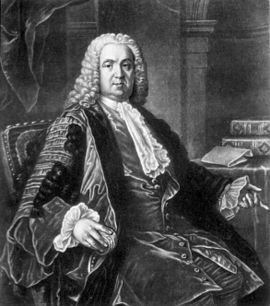 Mead was a celebrated Whig physician and medical author who had attended Padua and Leiden, and studied under the famous Herman Boerhaave. He was a fellow of the Royal Society, fellow of the Royal College of Physicians and was physician to George II. Amongst the exclusive clients who made their way to Bath to consult these two luminaries were Sir John, and Lady Stepney. Powell first corresponded with John Stepney, their letters discussing Elinor’s health, and mentioning the consultations in Bath, the prescriptions given and offering further advice. At this point it seems that Elinor was the third party. John Stepney seemingly took responsibility for ordering the many medicaments that Powell prescribed, generally including purges, vomits and various electuaries, pastes and juleps. In January 1729, for example, Powell recommended “a paper of cordial powders” to help with her stomach pains, as well as a “stomack plaster to spread and apply to her stomack”. If she found herself “bound”, she could take “2 ownces of purging tincture” to relieve her symptoms. From Dr Mead came the advice to take chalybeate tincture, and drink “bitter decoction” and peppermint waters. These were well-known digestifs and were clearly targeted specifically at her symptoms. A common theme in the letters is that of the sheer amounts of medicines that Lady Stepney must have been taking. So much so, in fact, that she frequently ran out and even, on occasions, depleted local supplies so much that emergency doses had to be obtained from Powell in Carmarthen, but even from London. In September 1725, there was even a note of irritation in Powell’s letter to John Stepney regarding the increasing demand. “Had your lady spoken to me that she would have her things made by our apothecary here” he wrote “I would have sent them to her by the first carrier when I came home”. As a result, he chastised Stepney, “she has lost a pretty deal of time both in takeing the medicines & drinking ye waters”. Powell immediately sent for another batch of medicaments, including a “fresh cargo from London”, including “a Vomit, 2 Doses of Purging Pils, a Paper of Ingredients for a bitter wine, anchovies, Garlic Electurary” and a “Antiscorbutic Electuary”. By 1730, Powell was corresponding directly with Elinor herself, and it seems that her treatment had now included visiting Bath again to take the waters, although the sulphourous liquids did little to ease her discomfort. In June 1730 Powell noted that her stomach “acted indifferent” to most types of food and that she should stick to drinking asses or goats milk until such time that she could bear to take the waters again. It also seems that Powell was becoming increasingly concerned about Lady Stepney’s apparent habit of staying indoors. It was imperative, he argued, that she “use exercise to get out into the air more or less everie other day, if not everie day”, and for three to four miles every morning, whether walking or on horseback, or even in a coach “if it be inclement weather”. This, he argued, would “restore your lost Stomack and Appetite and cause all ye animal functions to perform their proper office”. Such themes of natural, animal constitutions, vigorous exercise and fresh air, were common in eighteenth-century medical thought. But one of Powell’s prescriptions to Elinor stands out particularly from the page. On returning from a consultation in Bath in May 1731, Powell made reference to some prescriptions from Richard Mead, and to one pill in particular. These pills were made from “Russia Castor, Goa stone & wild valerian, with the syrup of compound peony”. These pills were designed to ‘loosen’ the constitution, and be taken in conjunction with a cordial julep. The pills, Powell stated, “I call ye heroine pills”. Not to be confused with the Class A drug, it is interesting that the use of the name predates the latter use by 250 years. Perhaps Lady Stepney was one of the first in history to partake of a dose of ‘Heroine’. Despite the best efforts of her husband, family and some of the most prominent medical practitioners and treatments of her day, Lady Elinor was ultimately helpless in her ongoing battle against her unknown malady. The striking accounts of her treatments and suffering provide us with a useful, if ultimately tragic, account of the experience of sickness in eighteenth-century Britain. The early modern remedy that should have been! Just a little light relief to stave off the joint miseries of man flu and a rainy day.